MICHAEL WOOTEN is one of the world’s foremost war scene artists, and here he depicts the Skipper and officers on the bridge of U-123 as they return safely to their base in Lorient, France after their first war patrol against the USA. 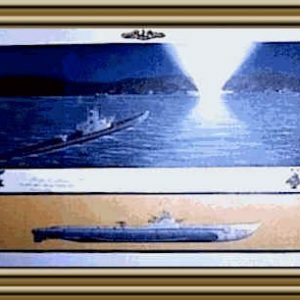 This was Operation DRUMBEAT and since Kapitänleutnant REINHARD HARDEGEN had his U-123 into his patrol area first, he is forever known as the Drumbeater. This patrol earned the KNIGHTS CROSS for HARDEGEN; his second war patrol in American waters earned him the OAK LEAF to this decoration. 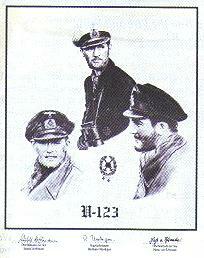 First Watch Officer Rudolf Hoffmann is at the left in this print, and he has since passed away. 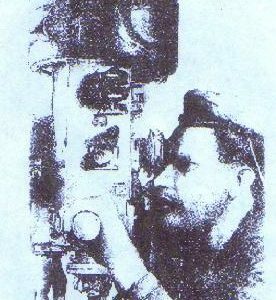 Hardegen is in the middle of the print and Second Watch Officer Horst von Schroeter, also passed on, is at the right of the print. 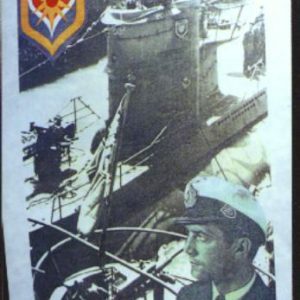 He later went on to command U-123 and was awarded the Knights Cross. He retired from the new German Navy with the rank of Vize Admiral. All prints are hand-signed by Hardegen, Hoffmann and von Schroeter. This is a limited-edition of only 500 prints.